MyAirtel App: Get Rs 100 Cashback on First Transaction of Rs 200 or More (New Users)!! – Hey Users We are back with an amazing offer. You already know that Airtel give super offers day by day. In this offer, user will get Rs 100 Cashback on First Transaction Of Rs 200 or More Valid Only for New Users. 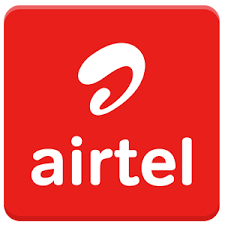 My Airtel app is Super Fast and Very Secure for Recharge Of Any Mobile No., DTH, etc. Offer: Get Rs 100 Cashback on First transaction of Rs 200 or More. Cashback: Rs 100 Cashback on Rs 200. Task: Initiate your First Ever DTH Recharge, Bill Payments, Utility Payments & Online Merchant Payments Of Rs 200 or More to Get Rs 100 Cashback. Valid Till: Offer is valid from 2nd of August to 10th of August, 2018. 3. Signup For New Account. 4. Now Initiate Your First Ever DTH Recharge, Bill Payments, Utility Payments & Online Merchant Payments Of Rs 200 Or More. 5. After That, Pay The Amount. 6. You Will Get Rs 100 Cashback in Your Airtel Wallet Within 3 Days. This offer is not live on spends through the Master Card linked with Airtel Payments Bank Ltd.
Offer is valid only on registrations done during the offer period.